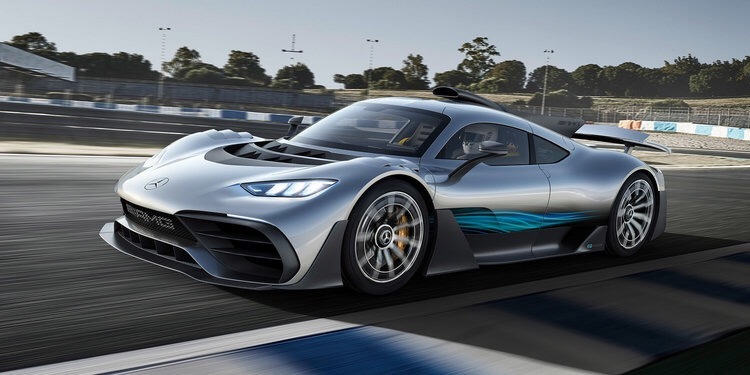 This evening, Mercedes-AMG officially revealed the all new Project ONE hypercar at a keynote style event. As previously revealed, the Project ONE is powered by both a mid mounted, F1-derived 1.6L turbocharged V6 and four 120kW-each electric motors to produce a staggering 1000hp/745kW of power – even crazier, the V6 revs up to 11,000 RPM and the motors rev up to 55,000 RPM. 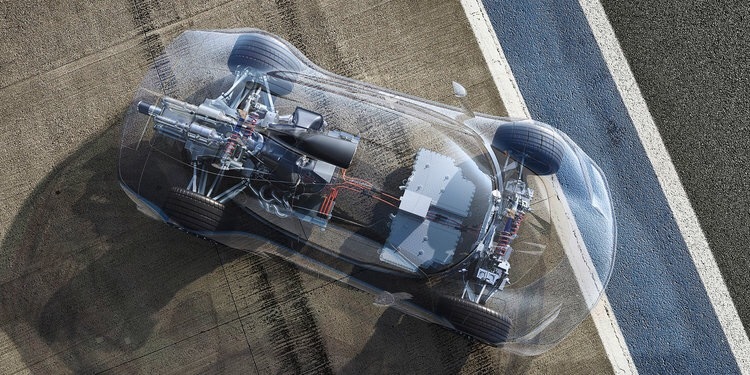 The distribution of the electric motors goes as follows: two motors are on the front axle, one on the crankshaft and another inside the turbocharger. All of this insane power is sent to the ground through AMG’s Performance 4Matic AWD system, a torque vectoring system and a specially designed 8-speed Speedshift manual transmission. 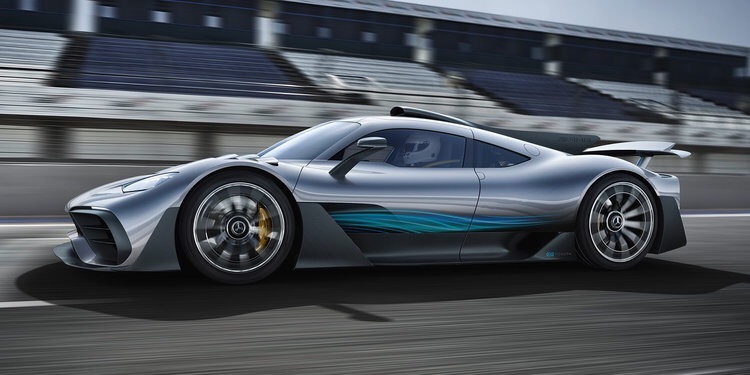 0-100km/h or torque numbers haven’t been quoted – however, Mercedes-AMG have said that the ONE hits 200km/h in less than 6 seconds and reaches a top speed of ‘beyond 350km/h’. 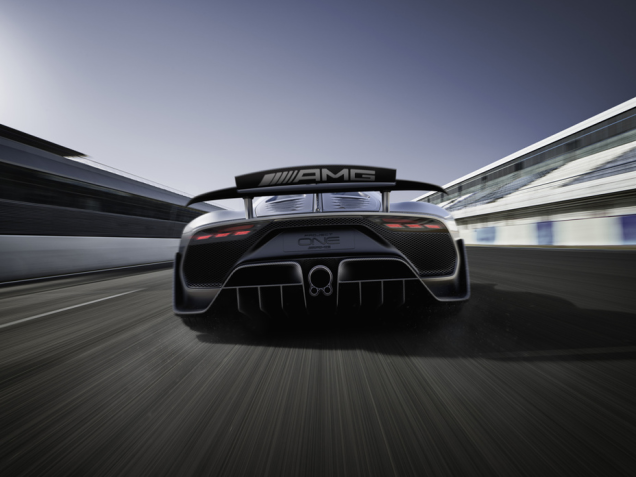 However, if that’s too much for you, the Project ONE can run purely on electric power for 25 kilometres. The Project ONE runs on 19-inch front and 20-inch rear centre lock 10 spoke alloy wheels, with 285mm front and 335mm rear Michelin Pilot Sport Cup 2 tyres. Stopping the ONE are a set of carbon ceramic compound brakes – the car also receives multilink suspension front and back. Further, the Project ONE’s ESC has three modes, including one for the track that turns it completely off. Design wise, the Project ONE takes inspiration from futuristic racers and cars. It features an aggressive front end with prominent and massive intakes, including an F1-style massive scoop on he roof that leads back to the engine bay. Around the back the ONE bears a large spoiler with a built in lip, a 2-section diffuser, large central exhaust pipe and aerodynamic aids that raise at speed. Inside, the Project ONE is very clean and race inspired. There are two adjustable race bucket seats with yellow stitching and seat belts, and a futuristic rectangular F1-inspired steering wheel with an inbuilt airbag and LED shift indicator. The car also features two 10-inch displays – the one over the small centre console runs Mercedes’ Comand infotainment system, while the one in front of the driver acts as both the gauges and a rear view mirror. Only 275 Project ONE’s will be built, each costing 2.275 million Euros, with just 9 coming to Australia and New Zealand. What do you think of it? Let me know down below!